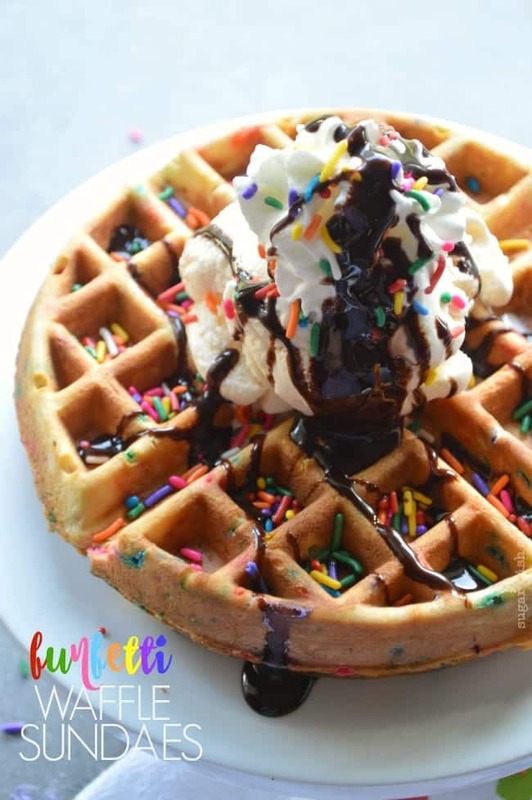 Fluffy homemade waffles with a hint of vanilla and studded with rainbow sprinkles! 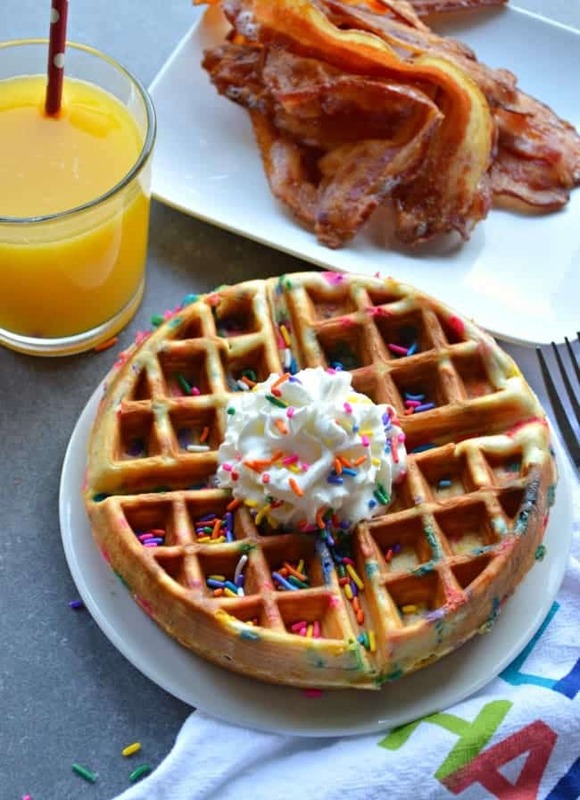 Funfetti Waffles make perfect sundaes or a fun breakfast. So it’s National Junk Food Day! 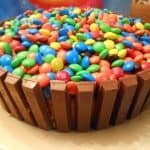 And although I never ever (I mean EVER) have something prepared for these weird food holidays. I think I hit the mark with this one guys. It was totally an accident, but a good one, don’t you think? 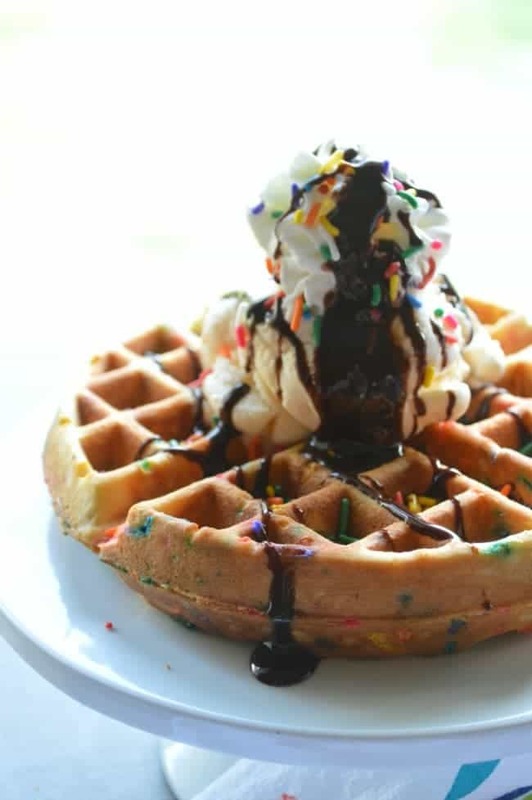 Let me please introduce you to Funfetti Waffles. 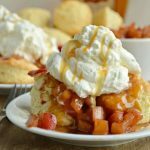 I initially wrote this recipe in response to an IHOP commercial acting like funfetti pancakes were some kind of novel idea. Theirs was basically pancakes with sprinkles, which, sorry to break it to you, IHOP, but this is hardly a new concept. We’ve been adding sprinkles to our birthday cake pancakes for forehhhhhhverrrr. And if you spend any minutes of your life on Pinterest, you will know that funfetti/birthday cake pancakes have been a thing for a pretty doggone long time. My kids look forward to them for every birthday — even though they are all teenagery now and I keep thinking that any minute they will tell me my pancakes are not that cool. I’d never had funfetti waffles though!!! Last time we broke out the waffle iron, we made these 5 Minute Cinnamon Sugar Waffle Bites. Before that I made you Apple Butter Waffles with Cinnamon Syrup, which, if you were wondering, are pretty much my favorite. 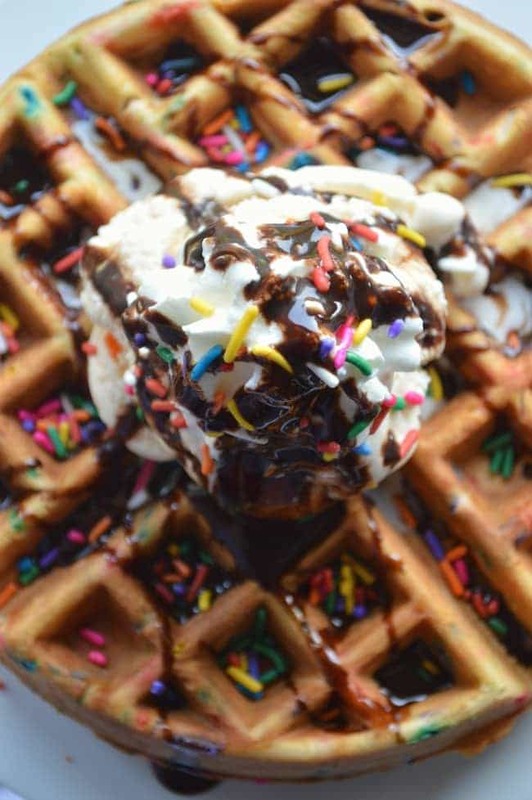 Nothing tops vanilla scented waffle batter with loads of sprinkles, though. Not for a celebratory breakfast, and not for dessert either. You can see I went the dessert route here because it’s the middle of July and I like every excuse to eat ice cream. 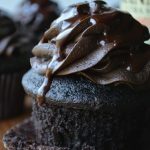 But if you scroll down a little you can see how I worked these out with a side of bacon instead of chocolate sauce. 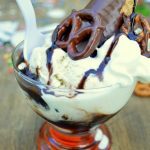 I’m not fully advocating ice cream, chocolate sauce, and sprinkles with your breakfast, but I am saying that there are definitely days that “a la modey” applies (and extra sprinkles to the reader that understands that reference). You could also break the waffles on the seams and place a wedge in each ice cream cup. It’s like a waffle cone on steroids. Happy National Junk Food Day! !